He lives with his mother and younger sibling. The family cannot support him with schooling. He is mentally and physically healthy. 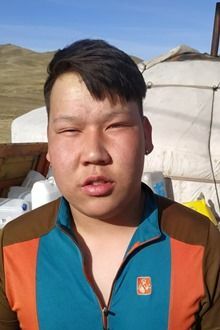 Munkh-Ochir has never been admitted to school before because his mother was homeless and unemployed. Tell your friends Munkh-Ochir needs a sponsor!